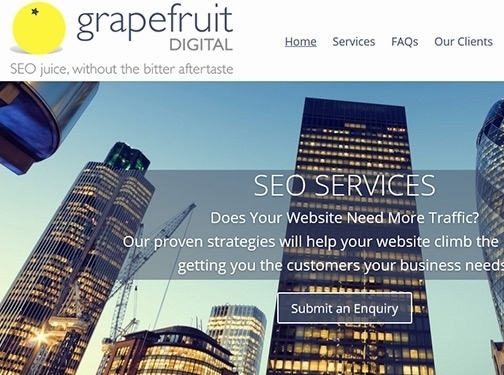 Grapefruit Digital is a leading SEO agency that focuses on understanding what clients need to grow their business, and then finding the best way to deliver that via the search engines. With tried and tested methods that deliver improvements in rankings and traffic, combined with a commitment to testing and developing new techniques, we consistently provide SEO services that get our clients to where they want to be. Honest in our advice, transparent in our working practices, and focused in our drive for results, Grapefruit Digital is helping more and more businesses transform their presence on the Internet.